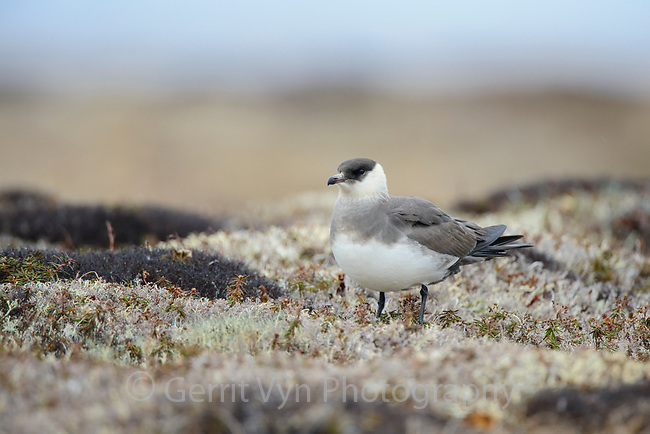 Light morph Parasitic Jaeger (Stercorarius parasiticus) perched on tundra. Yukon Delta National Wildlife Refuge, Alaska. June.